At Wasatch Greenscapes, we care for your plants as if they were in our home or office. Our office plant maintenance and care program will keep your plants happy and healthy, making any office or home look better than ever. Your technician will monitor indoor plants to determine the amount and frequency of watering needed based on your specific environmental conditions. 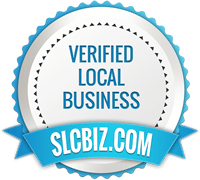 Your home or office plants will be groomed during every visit by Wasatch Greenscapes staff. The technician will remove old leaves that are turning yellow; leaves with brown tips will be trimmed. All plants are shaped to insure proper growth and optimum visual appeal. As your indoor plants naturally clean the air, dirt and dust collects on the leaves of plants. Your technician will dust plants to ensure their continued health and beauty. Fertilizing needs vary based environmental factors and plant variety. Your technician will fertilize plants as needed to keep them green and growing, without the danger of spindly, pest-infested plants that can result from over-fertilization. Despite the best of care, plants don’t last forever. As plants age, they are more susceptible to insect damage and disease. Our office plant maintenance technicians are trained to recognize these problems. We provide appropriate treatment or replace the plant as necessary as part of our interior plant care. Wasatch Greenscapes’ supervisors will visit your account periodically to review the general appearance and health of your plants and to discuss your satisfaction with our service. However, if you ever have any questions or concerns between these visits, we encourage you to contact our office immediately. All calls will be answered promptly and any problems will be addressed immediately. We guarantee our Office Plant Maintenance service and replacements. Should a plant fail due to service related issues, we will replace it with a different plant of the same or similar size, variety and value in order to ensure your interior landscaping is exactly what you want it to be. Of course, we cannot guarantee against outside events or mistreatment. Our guarantee does not cover vandalism, extreme heat or cold, unauthorized watering, moving of plants, or old age. Even with the best of care, plants in public places are often stressed or even mistreated. Sometimes, a plant will weaken or fail quickly, between visits from our staff. If such a plant problem ever develops, please call Wasatch Greenscapes immediately. As part of the office plant maintenance services, we will make certain that a technician or supervisor is there to solve the problem as quickly as possible. Contact us for more information on our office plant servicesContact Us!